David Petraeus sentence: Probation, fine in classified-materials leak. 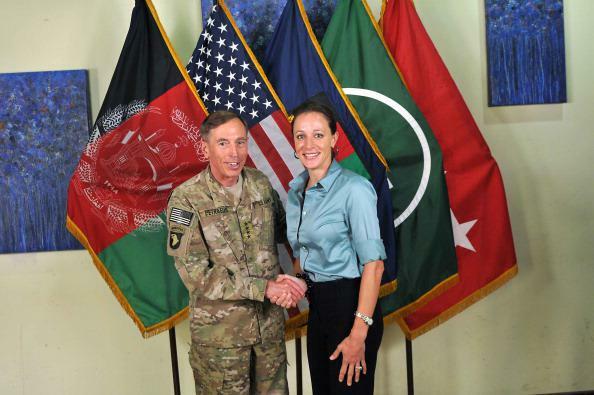 David Petraeus and Paula Broadwell in 2011. F.B.I. officials and some prosecutors had contended that Mr. Petraeus should receive prison time for providing highly classified journals to a woman with whom he had an affair and who wrote his biography when he was the director of the C.I.A. But Mr. Holder sided with Mr. Petraeus, ultimately deciding to agree to recommend that he be spared prison time. That decision angered the F.B.I. officials and prosecutors who said the attorney general was giving Mr. Petraeus preferential treatment, according to several law enforcement officials. Petraeus’ relationship with Broadwell became public in 2012 after the FBI began investigating threatening emails sent to Jill Kelley, a Petraeus family friend. Broadwell was identified as the source of those emails. She may have been jealous of Kelley’s relationship with Petraeus, though there’s no evidence Kelley and Petraeus were romantically involved. Investigators searching Broadwell’s property in that case found the classified materials that Petraeus was then accused of leaking.